It’s a fine line we walk when it comes to lead nurturing vs. lead hounding. Prospects come to us at various times in the buyer’s journey requiring us to be very methodical in our approach. The used car salesperson is a prime example of lead hounding. We’ve all been there. You walk on the car lot, and like a moth to a flame the salesperson invades your space. It starts with a seemingly innocuous “can I help you find anything?” But when you say you’re just looking, the salesperson continues to hover—looming over you like a hungry vulture ready to dine. If you’re like me at this point, you get extremely uncomfortable and leave the car lot ASAP. This is not how you want to handle a prospective lead! You’re using inbound marketing strategies. You know that you need to provide them with terrific and valuable information to build a relationship and trust. Great! 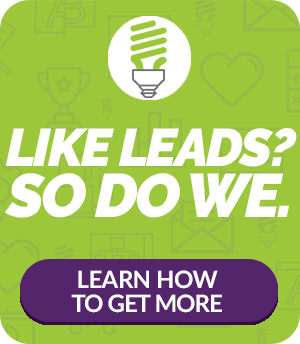 So why are you hounding your leads? Why are you sending them two emails a day, every day? Why are you sending prospects who have asked for a free report the opportunity to download the same free report over and over and over again? You need to nurture your leads not badger them! Even though you understand the principles, sometimes the intricacies of the inbound methodology are where all the difference is made. Be respectful. Send quality information but do so carefully. Consider it a kind of courtship: you don’t want to love bomb your leads. A welcome email followed by a well thought out offer 3 days later is a great place to start. This gives the prospect time to breath, but not forget about you. And if the offer is valuable to them, you have just created a qualified lead who is ready to advance in the buyer’s journey. Awesome! What if they don’t download your offer? Not to worry. A follow up email reminding them of the offer a few days later is perfectly appropriate. You want to show them that you know their concerns and questions, that you’re committed to their needs and will be with them for the long haul, and that you’re trustworthy as well as an expert at what you do. Remember, if prospects want to “take it slow” and make sure that you’re who you say you are, that’s perfectly fine. So, building customer relationship using inbound marketing is a process of patiently providing information. The inbound strategy provides you with highly targeted leads. But it can take a while and “it’s no cakewalk.” When it comes to lead nurturing via inbound, you’re no used car salesperson looking for the quick sell; you want to build a relationship that endures. We are a digital marketing agency that builds customer trust using the highly effective inbound methodology. For more information on our lead nurturing strategies, don’t be shy: contact us.